A cultivar of Dendranthema x grandiflorum Kitam. 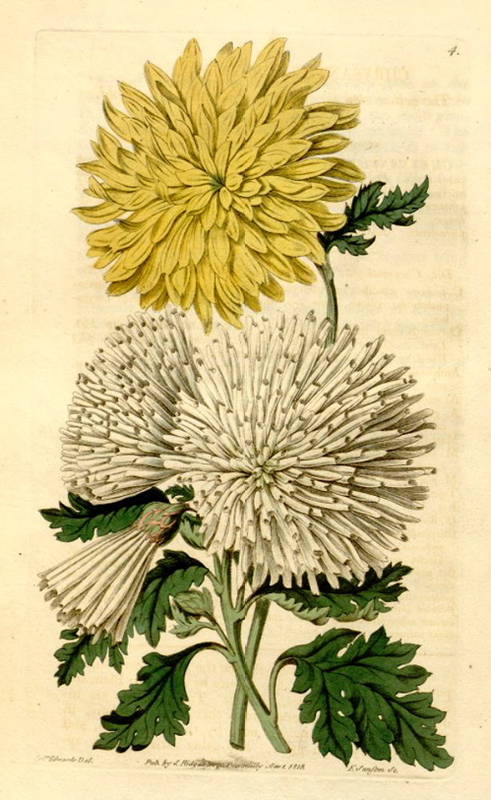 Marigold flowered chrysanthemum. ‘A very tall, handsome, and free-flowering variety. The flowers are early, and of a high rich yellow colour, but bronzed and orange in the buds and on their outsides. This is one of the best to grow as a standard; and, if parted at the root and annually transplanted, succeeds very well as a herbaceous plant, especially if in a warm or sheltered situation, duly supported by a stick.’ [FC p.73/1833]. 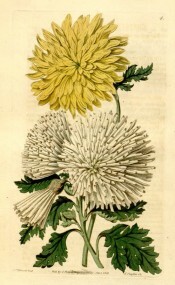 It is figured in the Botanical Register with double yellow, somewhat reflexed petals. [BR f.4/1815]. Listed in the 1845, 1850 and 1857 catalogues [H.62/1845].